The Valspar Championship received a huge boost when golf superstar Rory McIlroy revealed he will play in the local tournament March 5-11, 2018. This will be McIlroy’s first appearance in the Valspar, held at the Copperhead Course at Innisbrook Resort in Palm Harbor. The 28-year-old announced he will play in all three events of the Florida swing on the PGA Tour next spring; the Honda Classic at PGA National Feb. 22-25, the Valspar Championship, and the Arnold Palmer Invitational at Bay Hill Mar. 15-18. McIlroy did not announce a decision on the two World Golf Championship events in March: the Mexico Championship and the Dell Technologies Match Play in Austin. If he plays those two tournaments, that would make 9 tournaments in 10 weeks in the early part of 2018, which is an ambitious schedule. Many of the top golfers in the world have played in the Valspar over the past several years, including recent major winners such as Jordan Spieth and Sergio Garcia. But getting a commitment from a player of McIlroy’s stature remains a major coup. After playing a limited schedule in 2017 due to injuries, McIlroy is currently ranked #10 in the Official World Golf Ranking. He has not been ranked outside the OWGR Top 10 since 2010. He is a four-time major winner, with two PGA Championships, the U.S. Open, and the British Open, and is also a two-time PGA TOUR Player of the Year. 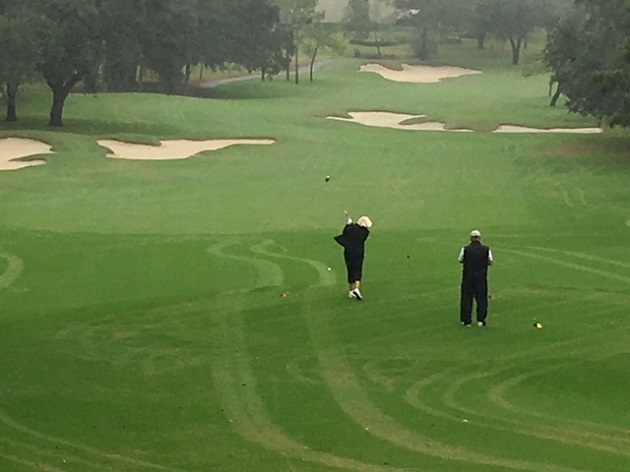 The Copperhead Course at Innisbrook was closed for 10 days in November for overseeding. Now reopened, the famed Larry Packard design has regained its emerald green look with the winter rye growing in strength. Tickets for the 2018 Valspar Championship are now on sale. Next spring’s tournament will once again feature the Valspar LIVE! Concert on Saturday of tournament week and the headline act will be announced shortly. Looking for more sports coverage of what's happening in Tampa Bay? Keep it here at 727area. And be sure to register to stay abreast of all our content: it's free!